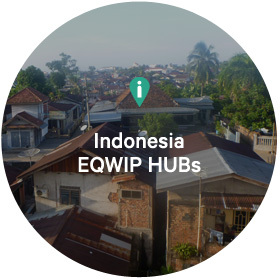 EQWIP HUBs are fuelled by collaboration, and we are grateful for our global network of dedicated partners and supporters. 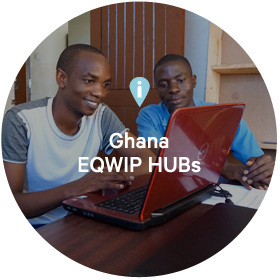 EQWIP is an innovative youth-serving alliance powered by Canada World Youth (CWY) and Youth Challenge International (YCI). With a combined 70 years of experience, CWY and YCI are recognized as cutting edge leaders in global youth development. Forty thousand young people around the world have been transformed through CWY’s world-renowned global reciprocal exchange programs and YCI’s youth innovation initiatives, proving young people can lead real change in global health, the environment, and youth livelihoods. CWY and YCI came together as collaborators in 2013, bridging their expertise and powerful networks to launch EQWIP HUBs. 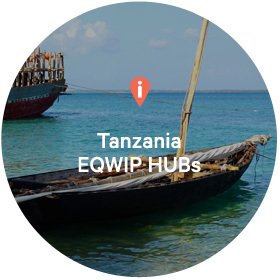 TIG has developed eHUB, an online learning portal to connect all 18 EQWIP HUBs, share insight and facilitate cross-HUB business challenges. 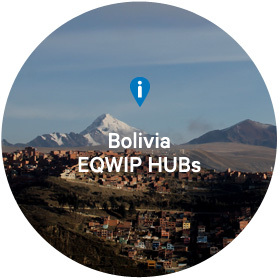 UN-HABITAT will play a critical role in convening the EQWIP HUBs Network consisting of public and private organizations and civil society. EQWIP HUBs uses ‘WorkReadyNow!’, a locally adapted curriculum designed by Education Development Center Inc (EDC) as the core of EQWIP HUBs work training. A jointly developed youth focused entrepreneurship curriculum is used as the foundation for supporting youth business start ups. 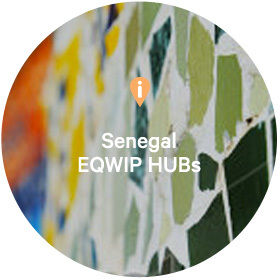 Each EQWIP HUBs location is housed and operated in partnership with an established and locally respected youth-centered organization. 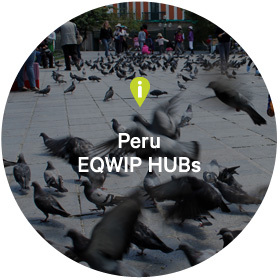 EQWIP HUBs seeks meaningful collaboration with innovative businesses and organizations who possess the next-level knowledge, technology and support to help change the lives of 100,000 youth by 2020. Inquire with Mike from Canada World Youth or Bryan from Youth Challenge International.